After years of development and multiple delays, Final Fantasy XV is slated to arrive on November 29 for PlayStation 4 and Xbox One. Ahead of that, copies of the game have started to appear in the wild--game director Hajime Tabata has warned fans to be wary of spoilers. He also asked fans who received a copy early to be respectful of others as it relates to posting spoilers about the story. Not only that, but Tabata said Square Enix plans to take action to prevent unauthorized videos containing spoilers to appear online. Late night TV host and comedian Conan O'Brien played the game last week alongside Lord of the Rings actor Elijah Wood. His verdict? "This whole thing, it's like an epic, blue balls waste of time," he said as part of his newest Clueless Gamer segment--watch the full video here. 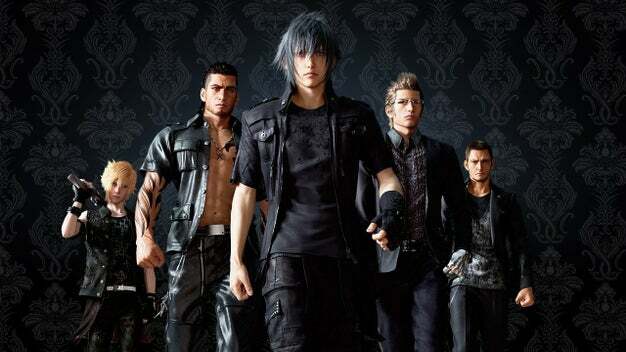 In other news about Final Fantasy XV, Square Enix has revealed the game is getting a patch in December that will add new graphics and frame rate options on PS4 Pro. Additionally, some stunning new artwork has been released. Finally, Square Enix is working with Game of War: Fire Age developer Machine Zone to make a mobile MMO based on the RPG.